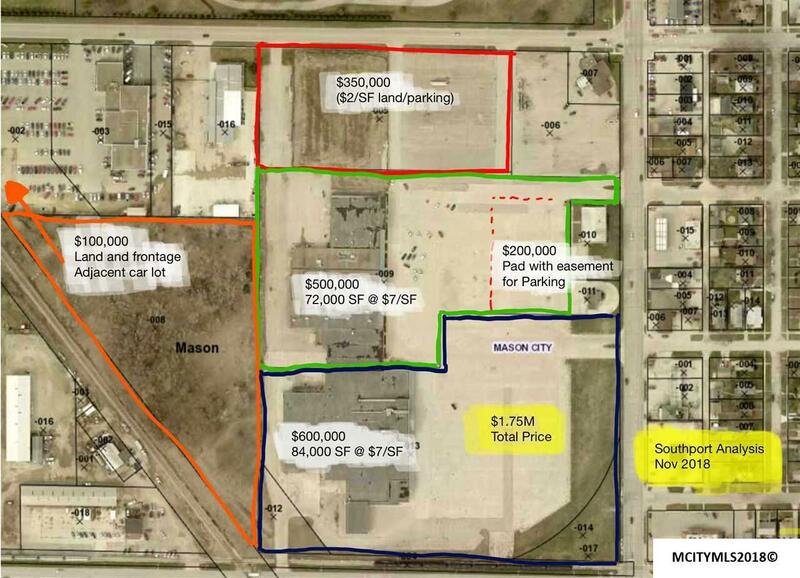 Two parcels of land associated with Southport Shopping Center. Larger triangle behind River City Fence and Southport. Smaller triangle west of Community Auto.